sounds a bit self-righteous, and besides, I know all too well how a bite of Hershey’s dark chocolate becomes, well, more than a bite. I’m not saying that happened to me, but, well, it could have recently. Let’s gather our dignity this Halloween, okay? We’re better than that. While I can’t help you avoid the overly sentimental holiday displays over the next few months, I can provide these seven strategies for a don’t-go-off-the-deep-end Halloween. 1. Make healthier treat options. Think beyond the candy aisle for Halloween treats. If you’re hell-bent on handing out treats, small packages of nuts or seeds make the perfect option. So do organic apples and those tiny packets of natural almond butter. Several natural-food brands even offer healthier treats available in cute Halloween packaging. 2. Consider non-food treats. Stickers or small toys are a hit among children and parents. They’re allergen-friendly and free of high-fructose corn syrup, plus you don’t have to worry about excess since any extras can be repurposed to stocking stuffers or saved for next year. 3. Take advantage of a candy buyback program. Most kids enjoy collecting treats more than they enjoy eating them. Look for a Halloween Candy Buyback program in your area that allows kids to trade candy for gift cards or cash. If you can’t find a local buyback, create your own by asking your kids to trade in their candy for a small gift or trip to the movies. Just make sure you don’t consume that candy! 4. Make a festive healthy snack. Love it or hate it, Pinterest provides healthy Halloween snack ideas from apple mummies and banana ghosts to green goblin smoothies. Make a festive snack for the office, the classroom, or for your family to enjoy at home. 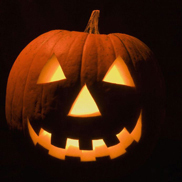 Who knows: Your kids may even try something they typically avoid in the name of Halloween. 5. Extend your trick-or-treating radius. Trick-or-treating can involve a couple hours of moderate-intensity aerobic exercise. Offer to go out with the kids and let your significant other stay in to answer trick-or-treaters. Head to a neighborhood a few blocks away to easily clock a few miles of walking. Bonus points for burst training along the way: Alternate sprinting and walking to and from your destination. 7. Avoid the break room Monday morning. Everyone knows leftover candy inevitably lands in the break room at work post-Halloween Monday. Bring in some raw almonds or dark chocolate and leave it at your desk so you can avoid temptation during the afternoon slump. It’s a good warm-up to steering clear of the slew of holiday treats soon infiltrating your office. Got to have something sweet for Halloween? I know I do. Opt for a few pieces of the best dark chocolate and pawn off the rest. And chances are you will not find this at your local drugstore. Check out my chocolate page to get the most up-to-date, Jinifit-approved suggestions. If you do indulge too much on Halloween, don’t beat yourself up about it. Just get back on track the next day and avoid extending the splurge through to January. Let’s band together this October and stop the stale-candy madness! What strategy would you add here? Share yours below or on my Facebook page.